The case of Moffet v Dental Corporation Pty Ltd  FCA 344 was recently determined by the Federal Court of Australia, and is another important decision relevant to dental practices. It considered the critical question of whether a person who was engaged as an independent contractor was in fact an employee. in the context of the above, the question of whether a person is properly characterised as an employee or independent contractor is "thus not to be resolved by a mechanical reference or application of a "check list" of considerations"
particular consideration should be given to the application of the Superannuation Guarantee (Administration) Act 1992 (Cth) (Superannuation Act) where a contract is wholly or principally for labour. It is important to note that this case dealt with a "Services Agreement" (sometimes known as an "Independent Contractor Agreement") under which Dr Moffet was engaged to provide services to Dental Corporation Pty Ltd (Dental Corporation). That arrangement differs from those under a genuine Services and Facilities Agreement (SFA) where the clinic is engaged to provide services to the practitioner in exchange for a fee. Dr Moffet, a registered dental practitioner, entered into a Services Agreement to perform dental services for Dental Corporation for a period of five years. Following the expiration of the Services Agreement in 2012 (and despite attempts to renegotiate the terms of the Services Agreement) Dr Moffet continued to perform dental services for Dental Corporation on these same terms until he resigned. 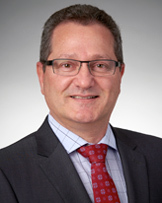 Subsequently, Dr Moffet filed an application in the Federal Court for relief under the Fair Work Act 2009 (Cth) (FW Act), the Long Service Leave Act 1955 (NSW) (LSL Act) and the Superannuation Act on the basis that he had been engaged by Dental Corporation as an employee and not an independent contractor. was, under the agreement, responsible for the payment of his taxes and superannuation. In light of the above factors, the Federal Court determined that Dr Moffet had been engaged as an independent contractor and not as an "employee" or "worker" as defined in the FW Act and the LSL Act, respectively. Despite this, with regard to the claim for superannuation, the Federal Court concluded that the Services Agreement was a contract that was wholly or principally for the labour of Dr Moffet within the meaning of the Superannuation Act. Therefore, for the purposes of the Superannuation Act, Dr Moffet was effectively an employee and Dental Corporation had breached its obligations in not paying Dr Moffet's superannuation entitlements. existing independent contractor and other services arrangements are carefully reviewed in this context. This decision is an important reminder that every facet of the relationship between the parties will need to be examined and closely considered. This extends both to the form of the agreement in place and the manner in which the relevant arrangement between a clinic and a practitioner is implemented in practice. It also highlights the ongoing potential for adverse consequences that may arise from the use of independent contractor agreements.